Here at Chamonix All Year we wish you a merry Christmas shopping… and to that end we present our 12 shops of Christmas for buying gifts in Chamonix! Each shop recommended below is unique to Chamonix, with gift ideas you won’t find elsewhere in the Alps and certainly not at home. 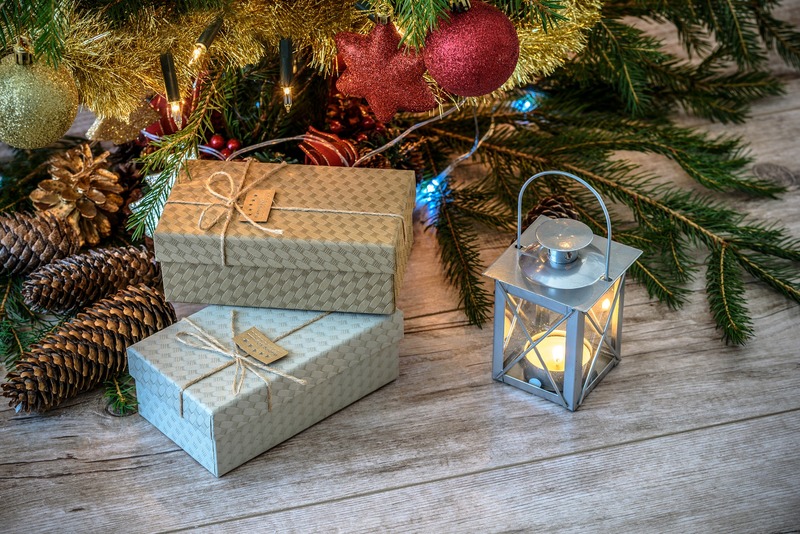 Let’s start at the centrepiece of your Christmas table with Chamonix’s newest store on this list! 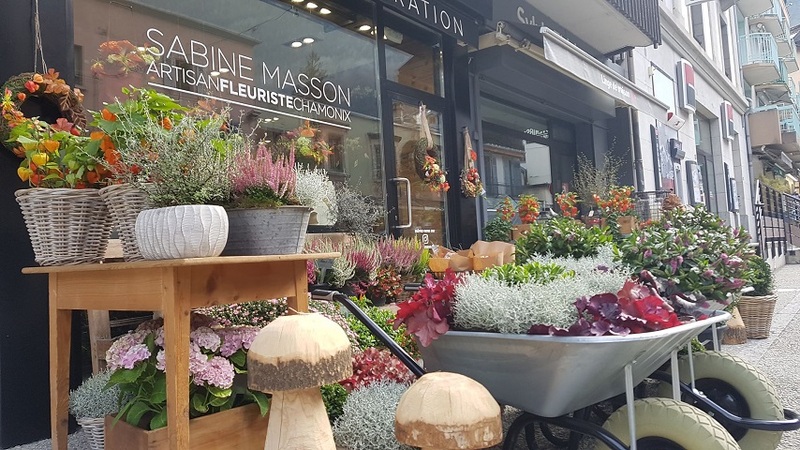 With a rich and varied selection of flowers and plants, as well as unique presentation ideas, Sabine is our go-to florist this Christmas. Her store is also home to splendid creations and decorations for every occasion. 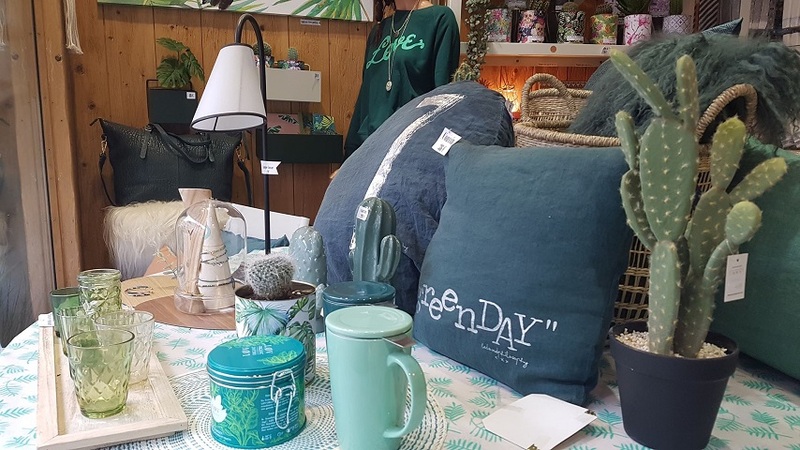 Sabine draws her inspiration from nature, and her eye for “recycled chic” design keeps us coming back to discover the latest trends for new ways to plant or display flowers. The name of this store translates to “Winter Dreams” and it’s exactly that! When we need to buy a gift voucher for our boss, this is the store we choose. This boutique has everything from stylish clothing to unique teas by the famous Mariage Frères (who have been making tea in France since 1854, and even have a blend with Louis Vuitton). Their furniture and home design accents also offer a pop of modernity for your home. With two stores under her hat, Eva has a head for creativity! Her store opposite Super U in central Chamonix is full of quirky products, at home in the kitchen or the kids’ rooms. Meanwhile, her store located close to Place Balmat is full of unique bathroom supplies and products. If you have already splurged on beauty products in Chamonix, Eva is who you need to see for a smart storage solution. 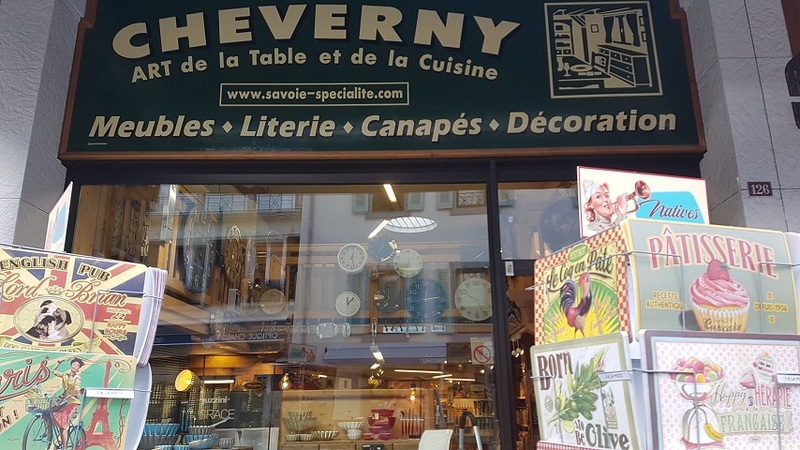 Cheverny is the go-to store for discerning masterchefs. They have a selection of high-quality kitchen products including some electronics – they even had a Dolce and Gabbana toaster at one point!. The quality over quantity mantra certainly applies to this designer store with decorations, art, furniture and more in select quantities, individual to their local style. When this store opened a few years ago their concept felt like a total breath of “Fresh Air” all of the things that we already loved about the other local concept stores, brought together in one shop. From rude garden gnomes to arty Bluetooth speakers, this is the store where both mum and dad can treat themselves… or each other! After Ski is retro made modern. A second-hand store for sports materials and more for women, men and kids; curated by two very stylish local women. Located between Benetton and Icebreaker with a red carpet heralding the way to their door, After Ski awaits to transform your day and your look. Take home a picture of the mountains and piece of it too. The Maison Tairraz is home to some of the best alpine photography in the region, and even some of the crystals that were formed deep inside them. Two photographs and one stone? Now that’s our kind of stocking filler! Nothing is more unique to Chamonix than our favourite local artist Charlie Adam of Bungalow Graphics. At his boutique Alp Chic, you will find a collection of his most popular works for sale in a number of formats. Inspired by ski, surf and tiki art Charlie Adam is a local hero who has developed his own 2D world of art full of comedy and character. Alongside his works, you’ll also find kitsch gifts in Chamonix and stocking stuffers on a budget. This store is off the beaten track, away from Chamonix’s high streets, and for that reason, you will find the most “one of a kind” gifts in Chamonix. You can process a photo and have it framed in a unique custom style or vintage find. Or, browse the already framed and unframed pieces for inspiration. You will not have enough walls for all the amazing art you find here. Locally roasted beans, coffee paraphernalia, vouchers and even art. 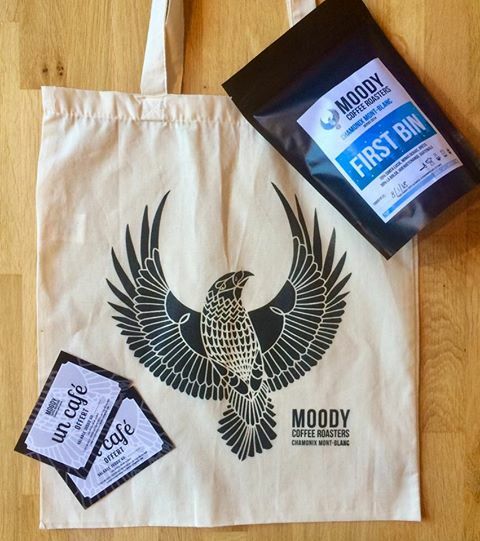 Moody is the perfect “I’d rather get a coffee than do gift shopping” location… because both are on the menu, along with their delicious cakes, freshly homemade daily. This shop literally cannot be missed! The biggest and best souvenir shop is also full of great ideas for gifts in Chamonix – for kids as well as home design touches. 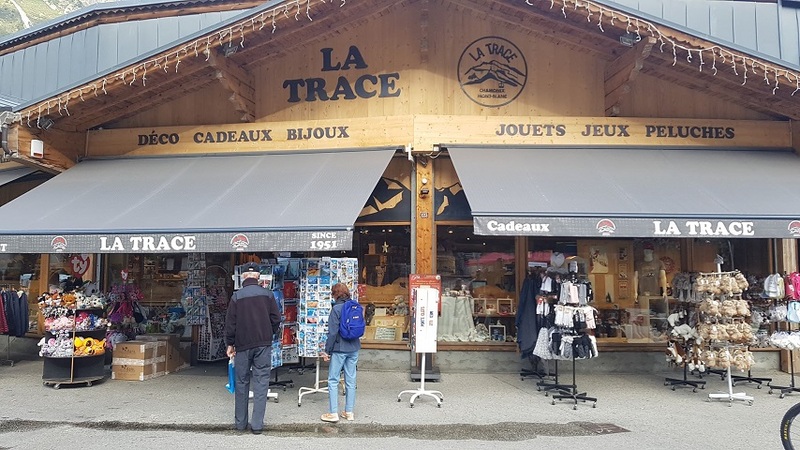 La Trace sits on a busy crossroad and is the obvious shopping choice to suit every family member, especially those you left back home wanting a piece of Chamonix courtesy of your suitcase. The first soap artisan in Mont Blanc invites you to discover her passion for soap in the centre of Chamonix. With scents to remind you of Chamonix, and all the usual “Made in Chamonix” favourites. If you’re running short on time you can even purchase her soaps at Carrefour, for those quick ‘I almost forgot Grandma’ gifts in Chamonix. Immerse yourself in the magical atmosphere of Chamonix’s own yuletide markets. This little wooden pop-up village lines the Arve rive in the centre of Chamonix throughout the festive season. The market is a great way to find speciality local products, get into the Christmas mood and even grab a bite to eat as you do so… Remember the French word for waffles is “gaufres”. The markets are also home to parades, shows, songs and tastings. Plus children get to meet Santa Claus himself! Do as the French do this Christmas eve, instead of filling stockin, fill your shoes! A legendary saint in many European and Eastern countries, St. Nicholas of Myra is the ultimate Christmas figure, pipped to the top spot by baby Jesus. St. Nick celebrates a feast day on the 6th of December, and in many countries, one of the traditions is that kids will leave their shoes out overnight (on the windowsill, in front of the fireplace, or even outside their bedroom door) to be filled with special gifts and treats from Ole’ St. Nick. In France, however, this tradition is practised on Christmas Eve… that makes one less stocking to pack but an extra shoe to fill this Christmas in Chamonix. The Grinch that stole Christmas? Don’t let baggage allowance Grinches decide how decorated your holiday home can be. Let Chamonix All Year add a touch of Christmas to it for you. You can book us to decorate a tree of your choice ready to welcome you in your chalet or apartment. Alternatively, keep the tradition of decorating your own tree alive and request that the decorations are left under the tree for DIY joy. Book your own Christmas tree and decorations here. At the 12 shops of Christmas, my true love said to me…. here’s my credit card, I’m off to go skiiiii! English and French speaking friendly Holiday Advisors. Calls to this number are charged at UK geographic rates and may be included as part of your providers call package or bundled minutes. Calls from mobiles may cost more. Don't worry, you can unsubscribe anytime.